The homebrew police run a pretty tight ship around here. Brb bragging to friends about sparge water. at least he was nice enough to say thank you. Ugh… Sometimes I hate having such a popular name. It just takes one bad Mike to ruin it for the rest of us. 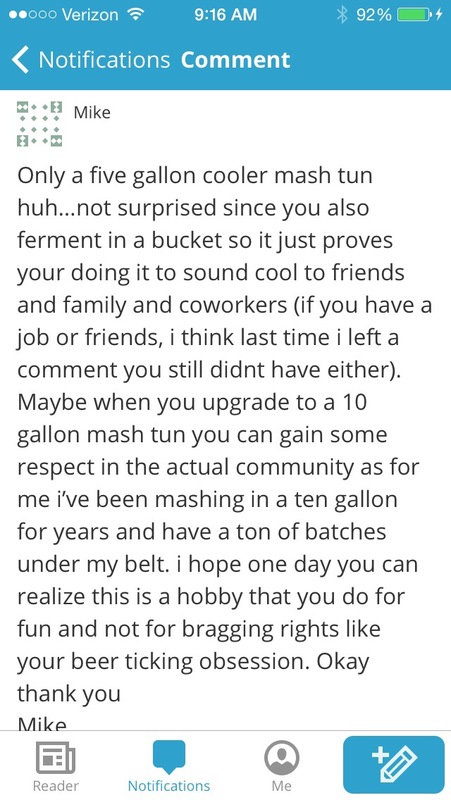 Ha Ha Ha, I have been mashing in an 11 gallon mash tun for years. I win!